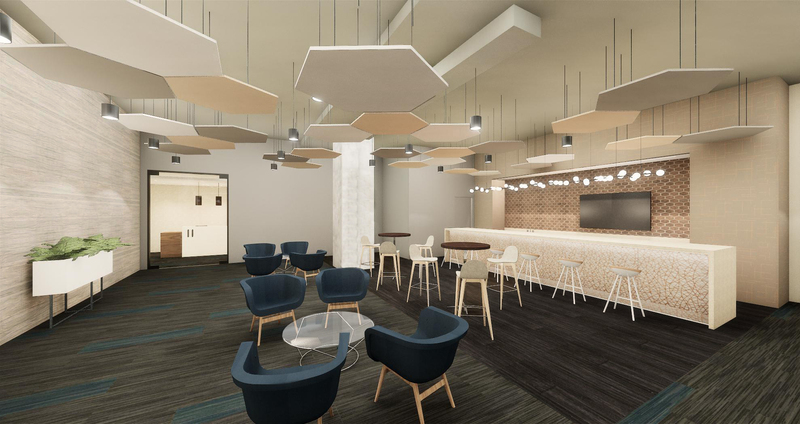 180 N LaSalle’s lower level amenity lounge is simple and elegant with a contemporary flare. 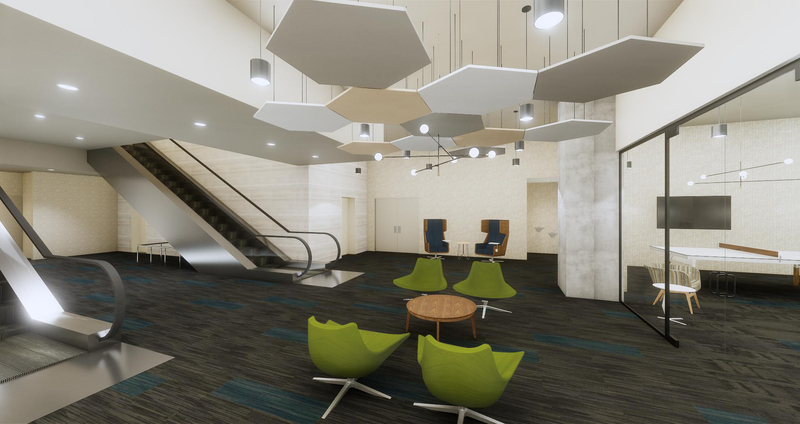 Acoustical baffles that float below an open ceiling absorb noises from the lounge and floor above. Adjacent conference rooms offer integrated schedulers, video conferencing capabilities, flexible training tables, dropdown screens and an iPad controller. The bar is designed to accommodate any type of setup or tenant gathering. It includes a TV, refrigerators, an ice machine, a sink, and a dishwasher. Nearby, a receptionist/concierge is available to assist tenants with questions about the amenity floor or any building-related need. The gaming area houses lounge furniture, club chairs, a foosball table, and a ping pong table with a TV above. 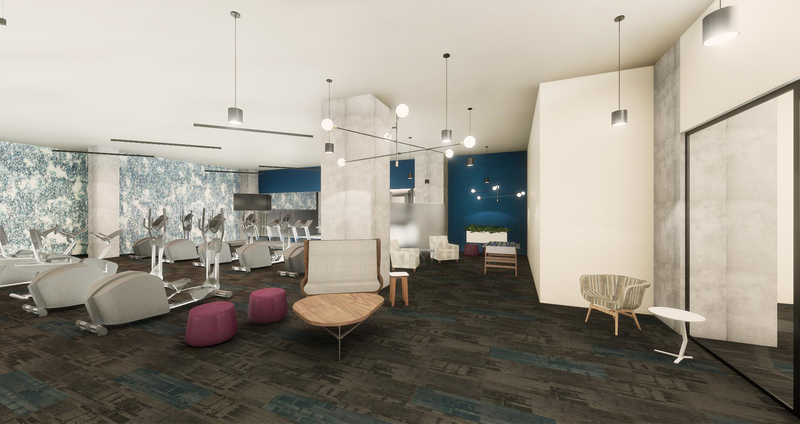 Nearby, furniture in the fitness center is easily moveable to encourage a functional activity space. 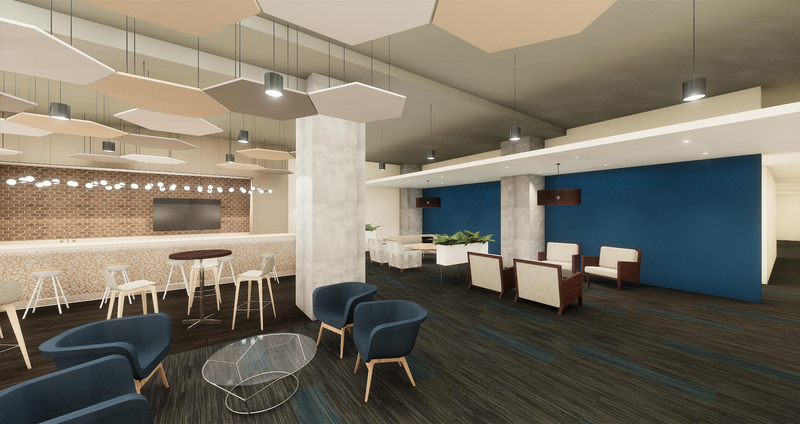 The design blends an active fitness area with an energetic lounge and gaming space to encourage tenants to exercise the body and mind while unwinding.